The principal shooting of Vishnu Manchu’s new film in Veeru Potla’s direction officially began today in Tirupathi. After the success of Dhenikaina Ready, Vishnu Manchu agreed to act in Veeru Potla’s film and the two had been working on the film’s script for quite sometime. Veeru Potla had earlier directed Ragada and Bindaas and he has already proved his ability to handle commercial entertainers. “Good Morning. Starting my new movie today under the direction of Veeru Potla. In Tirupathi. Excited!,” Vishnu posted on Twitter. 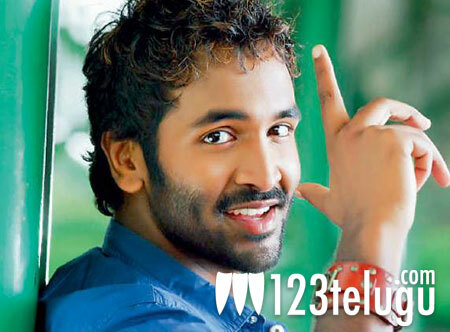 Vishnu Manchu is producing the film under 24 Frames Factory banner. Lavanya, who was last seen in Andhala Rakshasi, is playing the lead role in this action and family entertainer. More details about the rest of the cast and crew will be announced soon.